Using RD/ShowCockpit it is possible to easily connect any MIDI devices to MA2. I’ve added a new page to the website regarding my DIY lighting setup project. This is a post about my RD/MPCTools application and its history on the past year. It was born out of a personal need. I have been doing lighting in several shows for a few years, and when I found the M-Series software, i was amazed by its simplicity. At home, I installed M-PC and soon discovered that this was the best free lighting controller software available. However, not having an official Martin Controller to go with M-PC, I was missing the physical controls like faders and buttons, as lighting a concert with the mouse is everything but easy. Since I had a Behringer BCF2000 for lighting, I started to investigate wether I could use it with M-PC. Unfortunately, no solution was found! Luckily, M-PC allows the use of an external tablet or smartphone to communicate with M-PC via OSC, a network protocol created to address similar needs for audio consoles. The OSC application allowed the user to control one full playback bank – all the faders and buttons were accessible via their respective OSC addresses. My initial idea was to build an application that would connect to my BCF2000 and translate the MIDI commands into OSC and send to M-PC. I eventually succeeded in developing such an application! At that point, it was working fine and stable, but everything was hardcoded (and the UI was ugly)! After recognizing the need for such a tool among the M-Series users, I started a beta-test program and gathered a group of people to test the application’s functionality and give feedback. After roughly 1 month, when we felt it was ready to go public, it went public… Obviously, the ultimate goal was to enable the user to make his changes and adapt the program to their own setup. But we weren’t there yet. The topic was sticked at Martin’s forums and there were many people thanking, but also some people asking for help. The truth is that it was such a difficult setup that many people were giving up before even trying. The biggest step was made when RD/MPCTools was no longer an exclusive tool to the BCF2000, but a completely configurable endpoint for multiple generic MIDI devices, allowing the user to set their own preferences for each of their buttons and faders. It has been quite a journey, and it’s interesting how things evolve when you have a stable working version and people start asking for more and more features. One year after launching the RD/MPCTools application publicly, it reached the 1 THOUSAND download mark! For me, it’s always been fun, but it’s nice to realize that achieving such a big number means I did something that helped many people facing the same issue as me, but that might not have the needed tools to surpass that problem. I suspect there are hundreds of users around the world using the FREE RD/MPCTools application now, and that really makes me happy! Thanks to everyone that helped and supported my idea and my program. 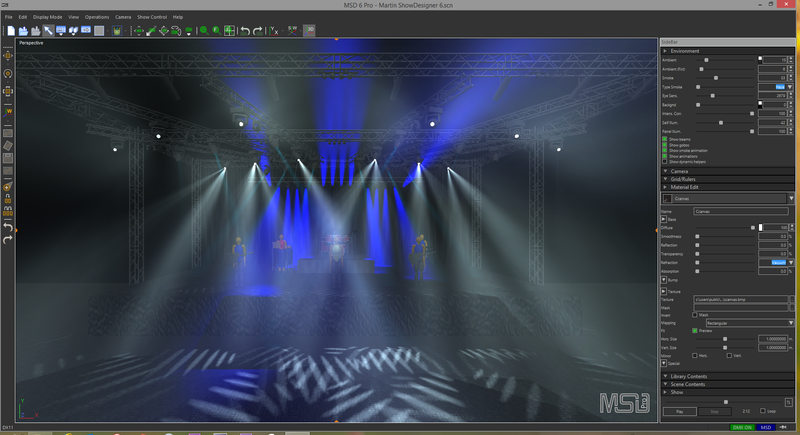 Lighthouse Holland has just launched the new Martin Show Designer 6! After showing it up in Pro Light + Sound 2014 in Frankfurt back in March, I’ve been in a group of BETA-Testers, working together with the company to give feedback in order to improve the stability of this new version. I’ll guide you through the most impressive changes made in Martin Show Designer for this new version 6 after the break! Back in April 09, 2014, I flew, along with 5 more CAMBADA team members, to Tehran for an International Robotics Fair that lasted 3 days Here is a video with our best moments. At the end of the day, the 2nd place was worth all the hardwork during those days. The next competition will be the Portuguese Robotics Open, in Espinho, Portugal, from 14 to 18 May.